Some of my favorite items at my local Trader Joe’s with a French twist! 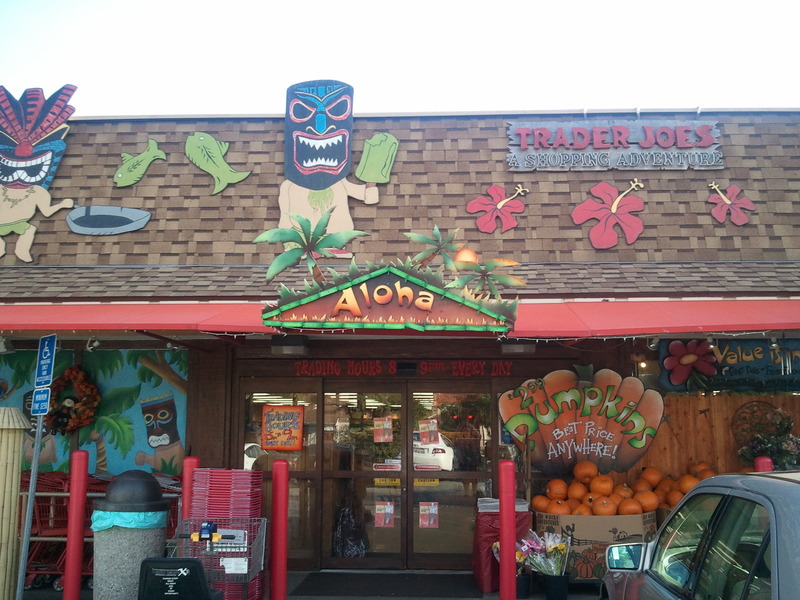 ( updated periodically) Trader Joe’s has been around forever ( do you remember when it was called Pronto?) and it has only gotten better with age. It’s almost like having a fancy épicerie and it is a local favorite in almost every neighborhood in Los Angeles, Trader Joes‘s or TJ’s carries their own labels and a myriad of original, organic,vegetarian and French twist products! From wine, all kinds of cheese, cornichons, pastries, frozen authentic pies, pains au chocolat, Madeleines, French Roast Coffee, jams, better than Dijon French mustard that really tickles your nose and real haricots verts! This is the storefront for one of our neighborhood TJ’s in Tarzana, California! The TJ team is also very friendly… Aloha! 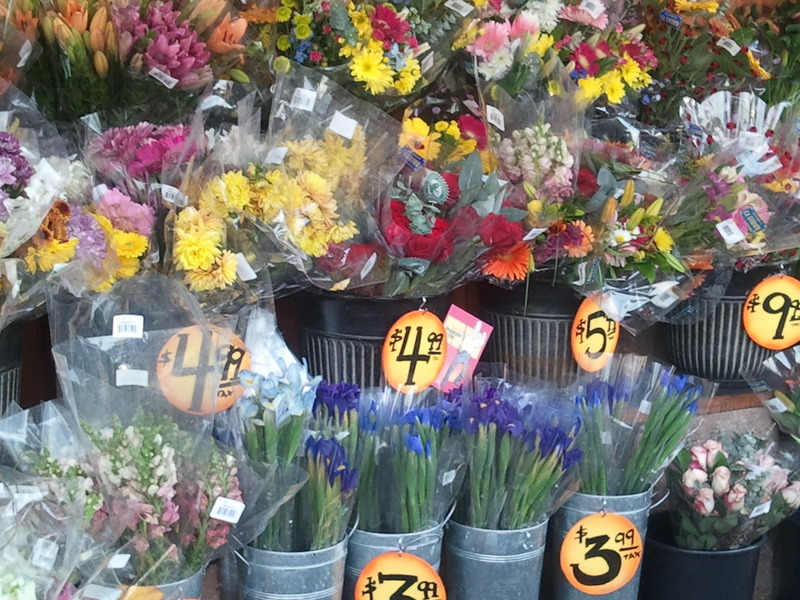 The seasonal flower selection is always fresh and reminds me of Parisian sidewalk marchands de fleurs where you can pick up a bouquet for under $5.00 ( no excuses for the gentlemen, anymore) or beautiful orchids! 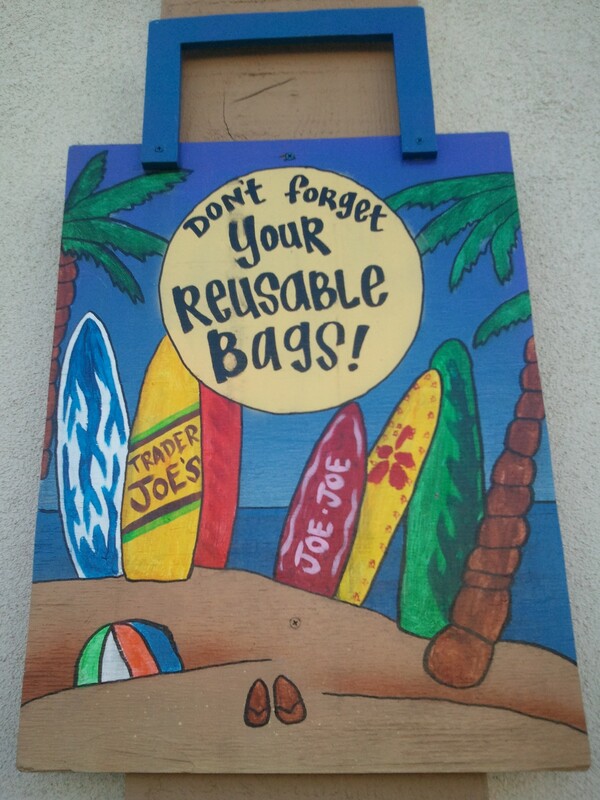 TJ’s is also environmentally friendly and provides reusable bags ! Kids love going to TJ’s afterschool to sample various featured products and I can shop sipping delicious coffee! Look through the slide show for a musing of favorite items with a French twist! Do you have a TJ in your area? What items are you crazy about? Next Next post: Happy 1st Birthday Blog! Le blog fête ses 1 an!